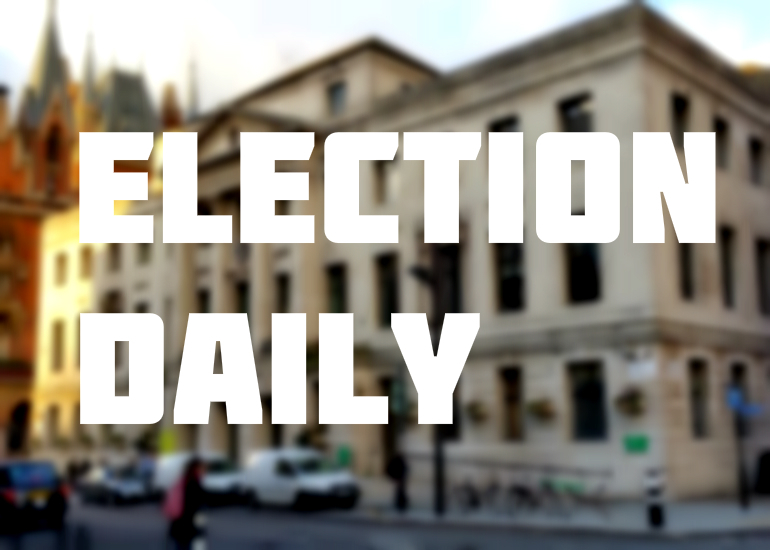 Election daily: Can a methodist minister bring peace to the Labour Party? A WIN FOR THE ‘MODS’? CONSTITUENCY meetings for Labour members in Hampstead and Kilburn do not sound much fun. Comrades always seem to have something to fall out over. Last Wednesday, it was over who would be the next chair. Peter Taheri, who wants to be a councillor in West Hampstead, was already stepping down but was bumped off the delegate little more than 24 hours before the meeting at the Kingsgate Community Centre. He stood his ground – there were checks of the rulebook – to ensure that he would at least oversee the meeting until his replacement was voted in. Grumble, grumble, mutter, mutter. The contest that followed saw Pete Firmin, from the left of the party, take on (Dr Reynaldo) Leao Neto, a methodist minister, for the vacancy. I’ve heard it said privately more than once that if Mr Firmin had not been on holiday and there to make a speech for himself he might have won. But it was Rev Neto who came through with a margin of victory of around ten votes. This was a win for the ‘mods’ – the moderates, whatever that label means – according to some of the losers on the left, cutting across the direction being chartered by Jeremy Corbyn’s leadership. Mr Taheri has spoken fairly warmly of Mr Corbyn in the past, however, if not a fully paid up member of the fan club. Rev Leto is from the other side of the constituency, not really CNJ land, but Camden insiders say he too has hardly been running against the Labour leader. “Not even backing Corbyn is enough now,” one member insists, “you have to be purest left-wing to avoid being challenged”. NO wonder Andrew Marr looked a little surprised that Tom Watson declared on his national TV programme yesterday to… “not be a reader of the Camden New Journal“. The BBC’s Sunday morning interviewer is after all a regular reader himself! A clip from his documentary on the treatments available for stroke survivors last year showed his preferred reading material on his kitchen table. THEY’VE spent a large part of this four year administration as rivals: Sarah Hayward robustly championing her record as the Labour council leader up until last spring, and Claire-Louise Leyland, her Conservative counterpart, trying to apply some moderation from the other side of the room. But for their final council meeting this evening – both are leaving the Town Hall in May – they will be briefly on the same side, uniting to propose a motion calling for misogyny to be classed as a hate crime. “Its exclusion treats gender as a subordinate protected characteristic compared to race, religion, disability and sexuality,” the text reads. Another motion on the agenda – from the Conservatives, unsurprisingly – asks members to say whether they are for or against restoring weekly bin collections. BY the time 2010 came around, the Liberal Democrats had to defend what they had done in their four years in a power-sharing agreement with the Tories… rather than telling us what Labour had done wrong. Of course, everything has got slicker, smoother, Tweetier since this local campaign video was made in the Cantelowes ward (a neighbourhood which Labour was soon to win back), but they did go a bit mad with the special effects.